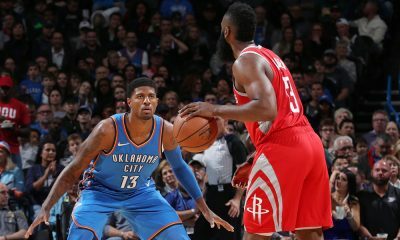 In the wake of the Rockets’ recent loss to Carmelo Anthony and the Denver Nuggets, I thought I’d revisit the notion of the Houston Rockets trading for Anthony. Throughout all of the “Melo-drama”, there has been one constant: teams have been unwilling to offer a trade package acceptable to the Nuggets without Anthony agreeing to a contract extension. Meanwhile, all reports indicate that Melo is only interested in signing an extension if he is traded to New York or possibly to New Jersey or Chicago. 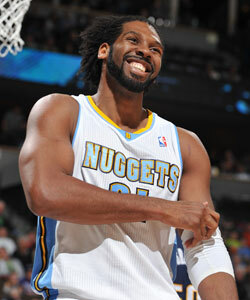 The only problem: neither New York nor Chicago (after the Joakim Noah extension) have the assets that Denver wants. Even New Jersey, a team that can offer recent #3 overall pick Derrick Favors and a potential 2012 lottery pick from the Golden State Warriors (top-7 protected), is not overwhelming the Nuggets with its offers for an extended Anthony. 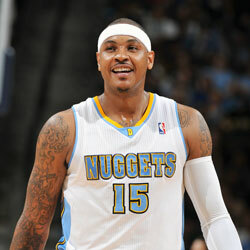 But what happens if a team steps up with an offer for Melo that does not require that he sign an extension? As the February trade deadline draws closer, there will be more and more pressure on both Denver and Anthony to either get a trade done or to finalize the three-year, ~$65 million contract extension offer that’s been on the table since last summer. If Melo remains determined not to take the money from Denver and to instead hit free agency (with the likely result that he winds up in New York), Denver may be forced to either accept far less in trade from other teams or to simply take their chances and keep Anthony around for the remainder of the season. This latter approach would be similar to the one taken by Bryan Colangelo with Chris Bosh in Toronto last year. He ended up signing and trading Bosh to Miami last summer in exchange for two 2011 first round picks (including Toronto’s own pick back from Miami) and a $14.5 million trade exception. Not bad for a guy who was already gone. But what if Denver is not interested in such a potential package? Or what if the Nuggets are afraid that Anthony, in a magnanimous gesture to his new team, would forgo his demand for a sign-and-trade and really leave the Nuggets with nothing? Would the Rockets be interested in trading for Anthony without a contract extension already in place? 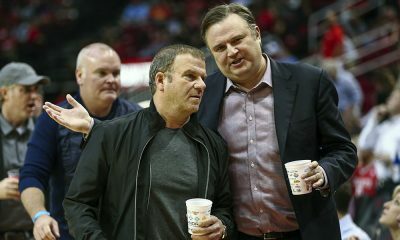 Would Daryl Morey & Company be willing to “pay up” for a few months with Melo? They could use that time to try to convince him that he’d have the best chance to win a championship in Houston. With Yao Ming expected to be much closer to 100% by March or April, that sales pitch might not be too far-fetched. Come February 24, backed into a corner without an extension signed by Anthony, the Nuggets might be willing to accept a trade package from Houston that involved a good young player or two (probably from among Aaron Brooks, Chase Budinger, Jordan Hill or Patrick Patterson), some expiring salary filler (Shane Battier and Jared Jeffries), some draft picks and cash. 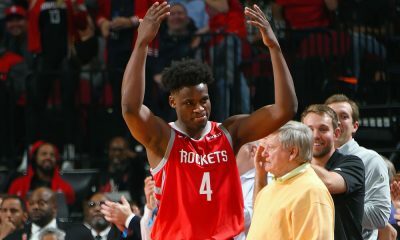 The Rockets may even have a major selling point in trade discussions: essentially holding the Knicks’ next two first rounders. With the animosity toward the Knicks coming out of Denver’s organization, the Nuggets may just relish the idea of keeping Melo out of New York and benefiting from the Knicks’ failure to acquire him. So, if the Rockets were to trade, say, Budinger, Hill, Battier, Jeffries and their 2011 first round pick (the higher of the Rockets’ or Knicks’) for an “un-extended” Anthony, would it be worth it? 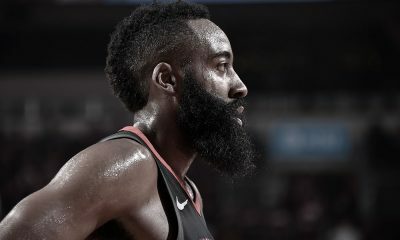 The outcome could range from (best case scenario) Melo helping lead the Rockets to the NBA Championship and deciding to re-up with the team in order to go for another ring to (worst case scenario) Anthony playing out the stretch, missing the playoffs and then leaving Houston for New York next summer. But the more probable outcome lay somewhere in between. A playoff push into the second round or even Western Conference Finals? Quite possibly. A decision to re-sign with Houston? A distinct possibility. 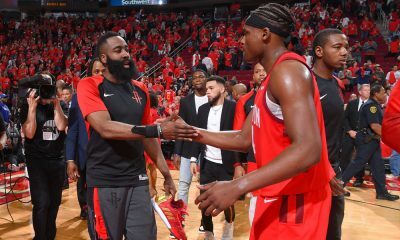 And even if Anthony decides to leave next summer, the Rockets could still salvage multiple future first round picks and (barring an actual major change in the salary cap rules under the new collective bargaining agreement) a large trade exception for their troubles in a sign-and-trade deal. That would hardly be nothing. Just something to think about for the next few months.